Ebook edition and your name in the book. Only paying the minimum. 1st edition hardback copy. e-book edition, and your name in the back. Great guy, totally behind me and busy draining the Fens. 1st edition hardback copy. e-book edition, and your name in the back. A signed 1st edition hardback copy. e-book edition, and your name in the back. . Standing in the shield wall, really appreciate your support, steady hand. Your name listed at the front of the book for either your allegiance or betrayal of Donaeld, plus a signed 1st edition hardback copy, e-book edition and your name in the back of the book. You're either with us or against us. Signed first edition hardback, ebook edition, your name in the back of the book, plus a print of artwork from the book by the best painter in Mercia. Everyone says he's the best, just the greatest. You are pitchfork fodder, more used to pitchforking fodder in fact. But great to have you on board. an insult from Donaeld on a cross-stitched embroidered tapestry, plus signed first edition hardback, ebook edition, and your name in the back of the book. Much of the early history of England is lost to the Ages, destroyed by flown time and vindictive monarchs. So many early Kings are only known because of the “trusted” Chronicles of historically minded monastery dwellers such as Bede and Gildas. History is of course written by the powerful winners and their monkish scribes. But what of the losers? What of those deliberately scraped from the precious vellum of Lindisfarne and Jarrow by jealous ink-stained pen-pitted hands? My research in the archives of Lichfield Cathedral has uncovered a priceless document, a true chronicle from the pen of a great leader of Mercia. A document which history has forgotten and those biased gatekeepers at the Elite East Coast scriptoria have done their best to suppress. The personal, raw and at times close to the bone musings of the Greatest of all Mercian Kings. Never before seen by historians, and covering many events that Gildas, Bede and others chose not to record, this manuscripts are truly without parallel. Illustrated by the greatest artist in Mercia, a certain Mike (@WulfgarTheBard), weaver of dreams, illustrator of scenes, painter of... paintings. 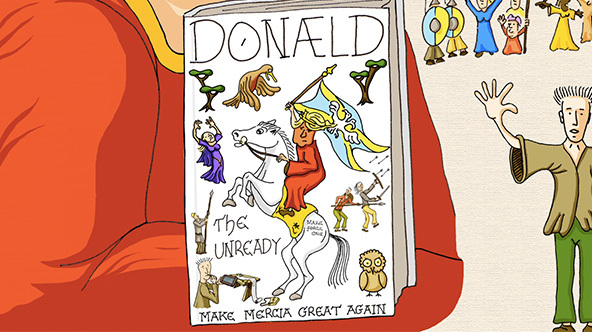 The Totally True Not Made Up Un-Fake Chronicles of Donaeld the Unready. The best medieval King out there. I'm the bretwalda. The bestwalda. I've got great swords, everyone says so. Make Mercia Great Again. 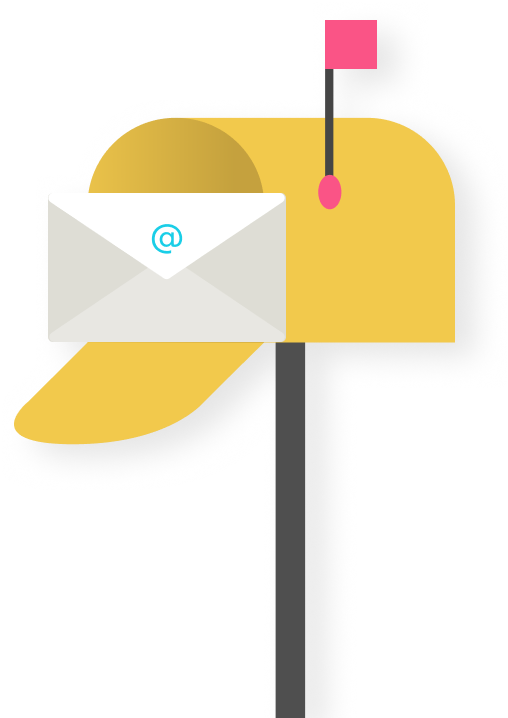 You can follow me on twitter here. Let’s just get one thing straight guys, I’m Great. The Greatest Bretwalda Mercia ever saw. The Bestwalda. My win was the biggest ever, my Witan the best ever, I put the wit into Witan, everyone knows. Bards should sing of my great victories over the mythical creatures that the DANES sent to attack me. They should sing of my brilliant strategies to outwit the losers in Wales and the soggy idiots in the Fens of East Anglia. They should definitely sing about my great hair. Best hair, ask anyone. But every day they waste good vellum and pretty voices on FAKE CHRONICLES and ALTERNATIVE SAGAS! The failing Jorvik Times! Bernie-cian Barding Collective! Crooked Gildas! Don’t even get me started on total loser Bad Monk Bede! Guys wouldn’t know the truth if it was carried off by Grendel’s Mother. So I asked my thegns and ealdormen and they eventually found someone in Mercia who could write and TELL THE TRUTH, and make it look all believable and pretty. And thanks to the great guys at BreitBard Chronicles, this is it. My Story. FACT! And the meme wraithes covfefe. “Beware the Jibbertrump, my churl! The paws so small, the paws that grab! The past is like another country. There are arseholes there as well. Donaeld The Unready answered a question on Donaeld the Unready. These people are helping to fund Donaeld the Unready.